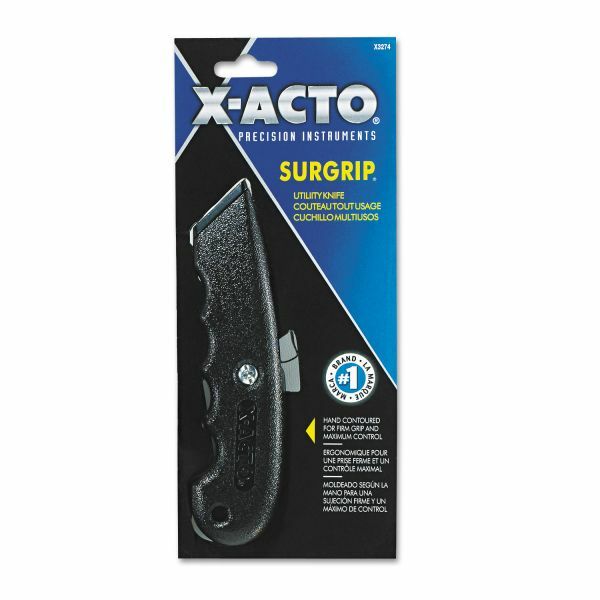 Contoured handle for steady grip and precision cutting. 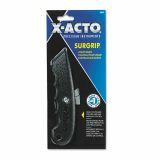 X-ACTO SurGrip Utility Knife w/Contoured Metal Handle & Retractable Blade, Black - Retractable knife features a heavy-duty, textured metal handle that is shaped to fit hand. Push-button slide adjusts the length of the exposed blade. Blades fully retract into handle for safety. 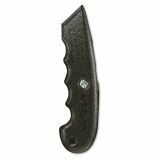 With adjustable cutting depths, utility knife cuts packages, rope, canvas, plastic, carpet and wallpaper. 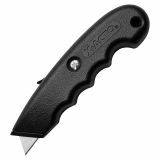 Knife includes a heavy-duty utility blade.